Let these attitude quotes remind you what a winning outlook looks like. 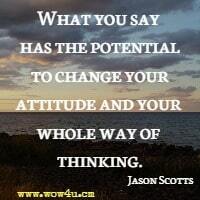 How you view your world, your mental outlook determines what type of attitude you will have. 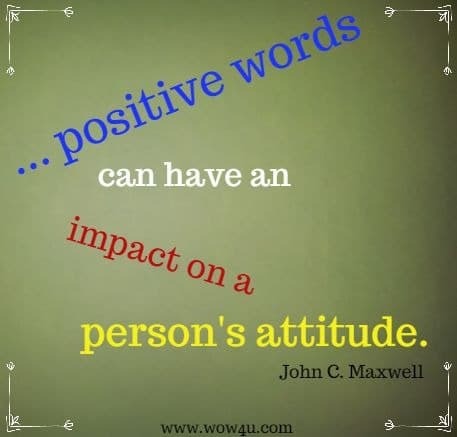 Your attitude can contribute to your success or failure. 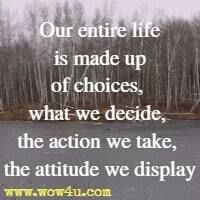 Attitude plays such an important factor in our lives! 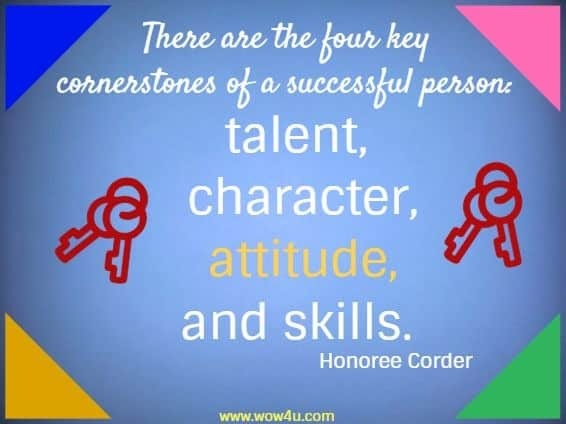 Agree with Honoree four keys, but I think the most important key is attitude. 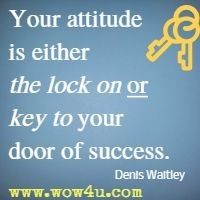 You can have talent, character and skill but if your attitude is not positive then success may not find you! 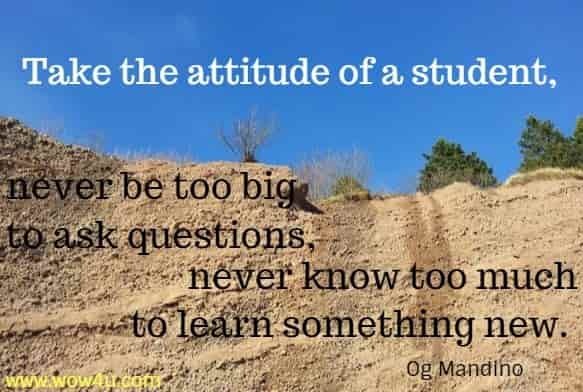 Wise words from Og Mandino - a student has a learning mindset - they are not afraid to ask questions and their minds are like sponges. We should never lose that! 1. be thankful you have lived another year. 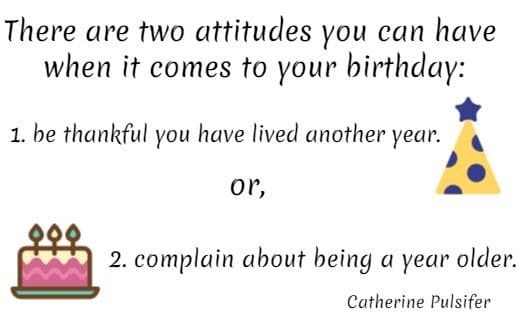 or, 2. complain about being a year older." 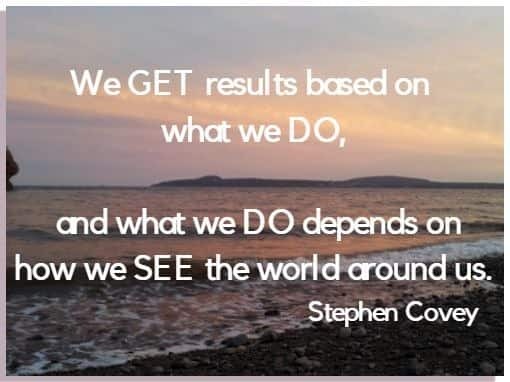 Our beliefs will determine the outcome of any situation. 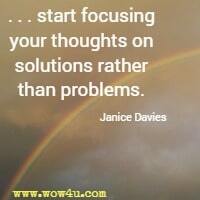 If we don't think we can do it we will not. 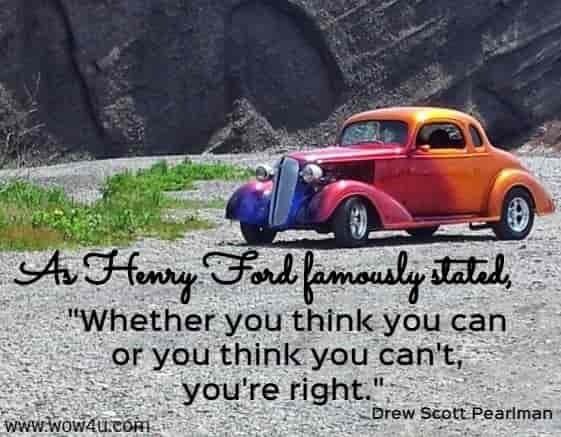 But if we think we can, then we do! 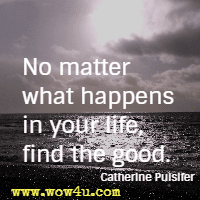 Good Day Quotes Your day is reflected in your mood - a bad mood or a good mood. 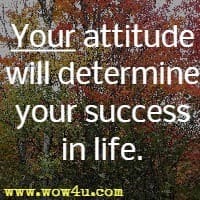 And your mood is determined by your attitude. 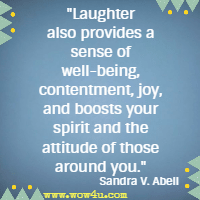 If you are having a bad day then stop and look at the type of mood you are in. 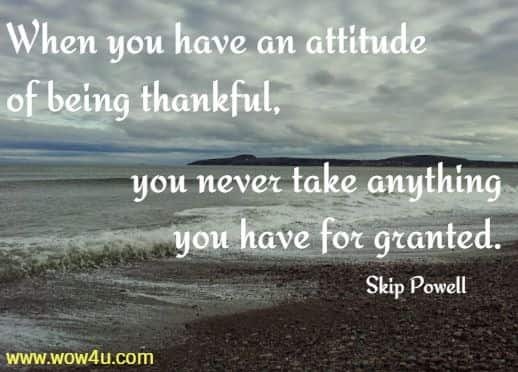 An attitude of gratitude helps us to keep life in perspective. You know the challenges before you will not last forever. "Forgiveness is not an occasional act: it is an attitude." Martin Luther King, Jr. 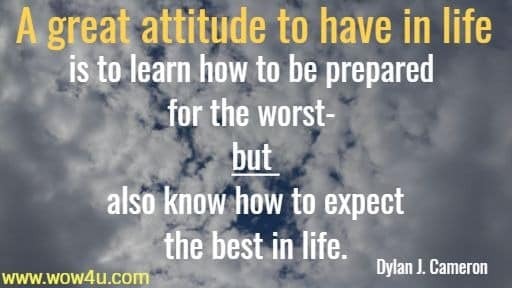 Your attitude at work plays an important part in your success. You can have the knowledge, you can have the skill, but if you don't have the right attitude then your career may come to a dead halt! Have an attitude of helpfulness, be solution-oriented, and most of all have an attitude of cooperation with your co-workers. Starting your day in gratitude will give you the right attitude for the rest of your day. 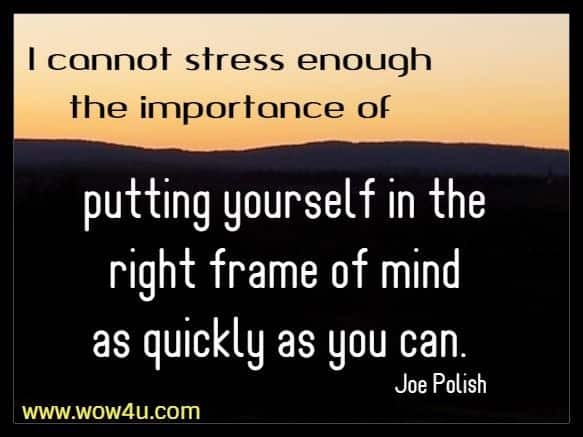 If I could have one wish for you - it is for success in all you do. 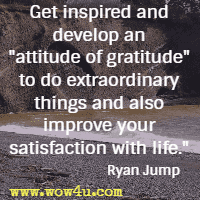 You demonstrate an attitude that is always full of gratitude.